Liz Walker is the first woman of color to anchor the news on a Boston television station. Her on-air skills, distinguished humanitarian work, and personal integrity have made her a community leader in eastern Massachusetts. 2010 marks her 30th year as a broadcast journalist in Boston. She moved to Boston to join the staff of WBZ-TV in April 1980 and went on to anchor the station’s evening newscasts for almost 20 years. In June 2000, she moved to the day shift to spend greater time with her family. Since 2005, she has been host and executive producer of Sunday with Liz Walker, a half-hour broadcast magazine airing Sundays at 11 AM on Channel 4. In the summer of 2001, Walker traveled to war-torn Sudan with a group of local ministers including Rev. Ray Hammond, Gloria White Hammond, Gerald Bell and Harvard student activist Jay Williams on a fact-finding mission on the controversial slave trade in southern Sudan. Walker and her group were guests of Christian Solidarity International, a European-based organization that has evoked international controversy with its efforts to buy back slaves who have been traded in the bitter 20-year Sudanese Holy War. Since then, she has been back three times, most recently visiting the region of Darfur, where 250 thousand people have been killed and 1.8 million displaced in what is considered to be the worst humanitarian crisis in the world. Recognized often for her exemplary work on the air and in her community, Walker received the Lifetime Achievement Award at Boston’s 2006 Exceptional Women Awards. She is also the 1997 recipient of the prestigious Governor’s Award from the New England branch of the National Academy of Television Arts and Sciences. 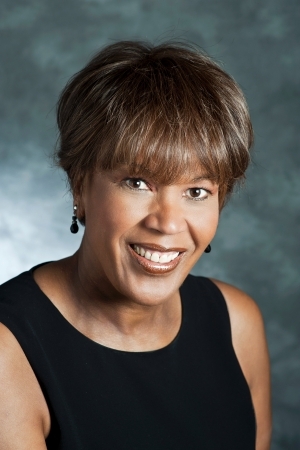 In addition to her work in news, Walker has hosted and co-produced several documentaries for WBZ-TV, including “Friends Like These,” for which she received recognition from the prestigious Gabriel Awards. Walker has long been actively involved in WBZ-TV’s public service campaigns and many community projects. Most recently, she co-founded “My Sister’s Keeper,” a grassroots organization that supports micro-enterprise projects for women in Sudan. She has a special interest in the victims and survivors of domestic violence, and along with former state representative Marjorie Clapprood, helped found the Jane Doe Safety Fund, a multi-million dollar project to support domestic abuse shelters and safe houses around the Commonwealth. The long-running “Stop the Violence” campaign, which put the breadth of the station’s resources behind an effort to increase awareness of violence issues in the home, in schools, and on the streets, was a cornerstone of the station’s public service efforts for more than decade. Walker was at the forefront of the station’s initiative and took the message to young people around the region stressing the importance of education and setting goals to break the cycle of violence. Walker has served on committees and boards of the Big Sister Association, Boston’s Children’s Museum, The Urban League of Eastern Massachusetts and the Pediatric AIDS Charitable Trust of Boston. She has also spent much of her personal time speaking to young people about the importance of education and setting goals. Her busy speaking schedule has included visits to high schools and colleges around the state. In addition she spends time helping to raise money and awareness for a variety of causes including AIDS, breast cancer prevention and homelessness and has been involved with numerous community groups such as the Project Hope Housing Project in Dorchester and the Newton Police Department Project D.A.R.E. A graduate of Olivet College in Michigan, Walker earned a Bachelor of Arts degree in communications. In 2005 she graduated from Harvard Divinity School with a Master’s degree focusing on religion and women’s issues. She is a member of the National Association of Black Journalists, Sigma Delta Chi and American Women in Radio and Television. Walker lives with her son in the Greater Boston area.